There is a lot of strange things that you didn’t know you needed knowledge about before you purchased your first car. 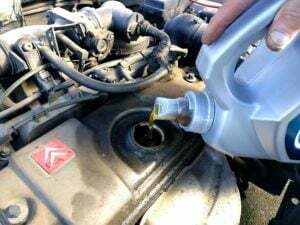 Taking care of your cars engine oil is one of the most important knowledge to have to make sure that your car is in good shape and to reduce the risks of expensive repair costs. One of these easy things to do is to check the engine oil level within short intervals. But how do you check the engine oil to get the most accurate readings and should the engine be hot or cold when checking the engine oil level? Should you check your oil hot or cold? 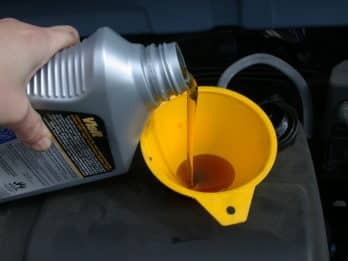 The best way is to check the engine oil when it’s warm, but the answer to this question depends on a lot of factors also. One of them is the type of oil that is using and at which outside temperature you have in your country. Both temperatures will give an accurate reading if done well. Checking your oil levels will help protect you from any inconveniences during your trip. It can be a great way to stay ahead of any potentially developing problems too, since checking your oil allows you to replace it in a timely manner for more efficient management practice. The oil temperature will not play a significant part in your results if you can’t account for the heat level. While you can check the consistency of your oil under either temperature extreme, different products will have a varying reaction. Synthetic oil has a higher rate of expansion and contraction with temperature changes. These blends will be much tighter when cold and could expand even more than expected when hot. Regular oil will experience normal expansion and contraction, which means you will get around the same readings regardless of temperature. Newer cars with electronic oil level controller will only measure the engine oil when it is warm and stays at a flat surface level. Therefore it’s recommended to check the engine oil when the engine oil is hot. Remember: Engine oil can reach temperatures above 120 degrees, and if you are checking the engine oil when it’s hot be very careful to not burn yourself on either the hot engine parts or the engine oil. Whether you use a synthetic blend or regular oil, checking your car when it is very cold outside will affect your readings. To get the best oil readings in single digit weather, you may need to run your engine for a little while before starting the process. You can set your car on idle until it warms up, or check your oil after a short drive. You should use a completely dry dipstick to check your oil. The device is calibrated with minimum and maximum oil levels for easier maintenance and accurate oil replacement. You should park your car on a level surface to avoid distortion of oil levels due to gravity. You will also need to use a bleached or white sheet of paper to check your oil. You need to examine the profile of your engine oil, including its texture, color, and smell. To do this, spreading out some of the oil over a plain white surface is best recommended. Newer oil will usually have a golden or amber color. It will become dull and may contain debris over time, which could harm your engine’s components. Many car owners do not know how to check their engine oil levels. The confusion starts from the basic steps, with users unsure whether to check oil hot or cold. It is a relatively easy process, which will only take a few minutes. First, you should make sure that your car is on level ground. Checking your oil on an uneven surface could cause the readings to be flawed. For safety reasons, if you are not experienced with cars, you should check your car’s oil when the engine is cold to avoid scalding and burning by hot components. However, you can also check the engine oil levels when warm, especially if your environment is excessively cold. You get the best measurement when it’s warm. You will only need to insert the dipstick, which is usually provided, into the oil cylinder. Remove this measuring stick and wipe it over a dry and clean paper towel or rug. Fit the oil stick again and put it up again. Your oil level should lie between the minimum and maximum levels, and have a similar color profile to new oil without any particles or debris. Some newer cars do not have a dipstick for the engine oil and instead are using an electronically controlled one. Read your service manual to figure out or take help from a mechanic to check it for you. You can check your engine hot or cold. You will need to make adjustments for the temperature to avoid putting in too little or too much oil. Having a regular checking schedule will help you stay ahead of other problems which could affect your driving experience, such as a constantly overheating engine. These problems are easy to prevent and can be done from your garage. If you do not know how to carry out simple servicing, you could consider hiring out the services of professionals for a more comprehensive and thorough process.